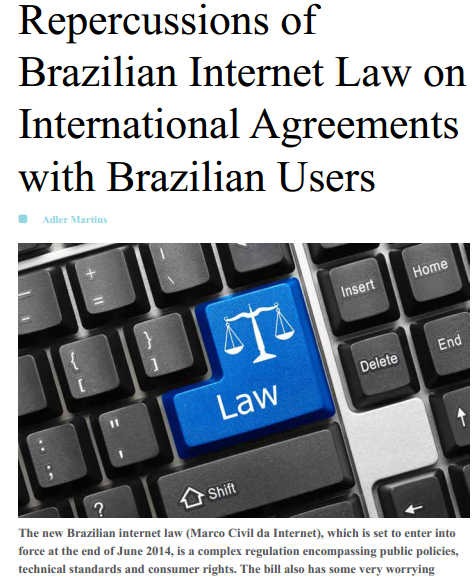 Any internet company, any company that distributes software or apps, and basically any company that has a web page that can be used by Brazilians, will be forced to adapt its User Agreements and privacy policies to the new law. The government is expected to publish a decree detailing the expected changed. But, from the text of the bill, we can make some assumptions. viii) user agreement must be written in easy and accessible language (it is not clear if it means clear Portuguese or if a clear English text will do). I will keep you posted as the subject develops. Kettling of public manifestations in the world cup ruled... UNCONSTITUTIONAL. At last! I don't usually write about human rights, or any right not connected to economic liberty, but this is worth the exception. A court from Belo Horizonte (my city) has ruled that corralling protesters is unconstitutional under Brazilian law. 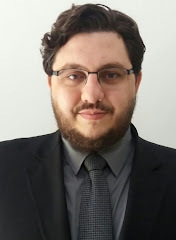 This has been brought to my attention by Diego Valadares Vasconcelos, a bright young lawyer who is a reference in Human Right and International Law in Minas Gerais State. Mr. Vasconcelos has acted as amicus curies before the Brazilian Supreme Court, defending the cause of gay marriage. He has participated in several international moot courts and competitions, always with bright results. Diego is also a friend, and I have been an intern in his father's law firm in my formative years. I'm giving you his CV because Diego has made a comment I wouldn't be able to conceive: he said Brazilian courts are giving a good example to the European Court of Human Rights, which has decided favourably to kettling in a much commented decisions. You may find the link to it here. Specifically in this case, I agree. But I regret that, otherwise, Brazilian criminal law and criminal procedures are still very outdated, if not outright brutal. The decision has been issued in the context of protests scheduled for the same day of Fifa" World Cup soccer matches. It is the first good thing that came out of the games, if anyone would ask me. Brazilian magazined "Capital Aberto" has published an interesting article about the question that has been burning in my mind lately: Brazilian taxation of foreign subsidiareis. Although the approach of the article is not new, it serves well as a review of the situtation up to this point. My article on the new Brazilian internet rules has just been published by Alternative Latin Investor. You may read the magazine at http://www.aeinvestor.com/ (subscription required).